As 78 million American baby boomers age, the prevalence of Alzheimer’s disease will skyrocket. Economically, it has the potential to bankrupt an already fragile health care system. Socially, we have yet to overcome much of the stigma associated with it. In terms of basic knowledge and research, Alzheimer’s is progressive, it is fatal, and there is currently no cure for it. Despite these sobering facts, great progress is being made in the discovery of Alzheimer’s causes and treatments. This progress must continue. To ensure that critical research funding becomes and remains a priority, we must all raise awareness about this disease. We must hear from even more Alzheimer advocates, including people living with the disease, their friends and family, public servants, celebrities and the entertainment industry. This year, HBO Documentary Films and First Lady of California Maria Shriver were on the forefront of this awareness effort with “The Alzheimer’s Project.” The Alzheimer’s Association would like to applaud and congratulate all those involved in the creation of these films on winning two Creative Arts Emmy awards. “The Memory Loss Tapes,” which shadows seven individuals living in various stages of Alzheimer’s, won for Exceptional Merit in Nonfiction Filmmaking; and “Grandpa, Do You Know Who I Am? with Maria Shriver,” which captures what it means to be a child or grandchild of someone with Alzheimer’s, won for Outstanding Children’s Nonfiction Program. Both of these films revealed the realities of Alzheimer’s disease, sparking conversations in living rooms nationwide and at more than 110 Alzheimer’s Association community screenings. Shriver, who served as an executive producer on the series and is a passionate voice for her own father and all those living with the disease, deserves special recognition. In addition to “The Alzheimer’s Project” and numerous other advocacy activities, Shriver has testified before Congress as a compelling witness of the physical, emotional and financial devastation of this disease. Shriver’s presence at Alzheimer’s Association events from candlelight vigils to galas is felt and appreciated by the 5.3 million Americans living with Alzheimer’s and their 10 million caregivers. Yesterday, September 21, 2009, was World Alzheimer’s Day and the Alzheimer’s Association would like to thank all Alzheimer’s Champions committed to the fight against Alzheimer’s. An American develops Alzheimer’s every 70 seconds. Now is the time to follow the lead of Shriver and all of the partners in the HBO documentary by joining the cause at www.alz.org. 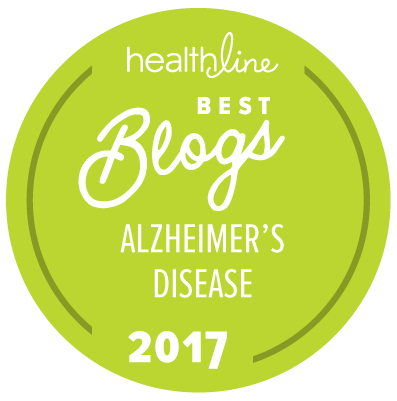 It is so encouraging to see such emphasis and attention on Alzheimer's in the recent few months. With November being Alzheimer's Awareness Month, hopefully this dialogue will continue. Photographer/author Judith Fox is hoping to give voice to the staggering numbers of people with Alzheimer's cared for at home by family members and friends. The latest statistic is 70%. Caregivers are the silent sufferers. I Still Do: Loving and Living with Alzheimer's is a personal photographic tribute that touches people on a universal level. This short video gives more insight.